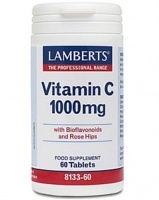 Vitamin C, or ascorbic acid, is needed for a healthy immune system, healthy bones, teeth and gums as well as helping to maintain blood fat and cholesterol levels. 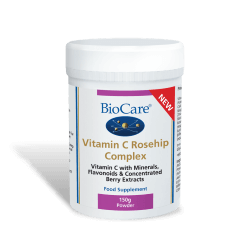 It is an antioxidant in its own right but also helps body in recycle other antioxidants like vitamin E.
Vitamin C is a fragile water soluble nutrients, so is highly unstable and can easily be destroyed by heat and light. Therefore it is not always possible to be sure how much is taken in the diet. The daily daily requirement for it is higher than for any other water soluble vitamin. 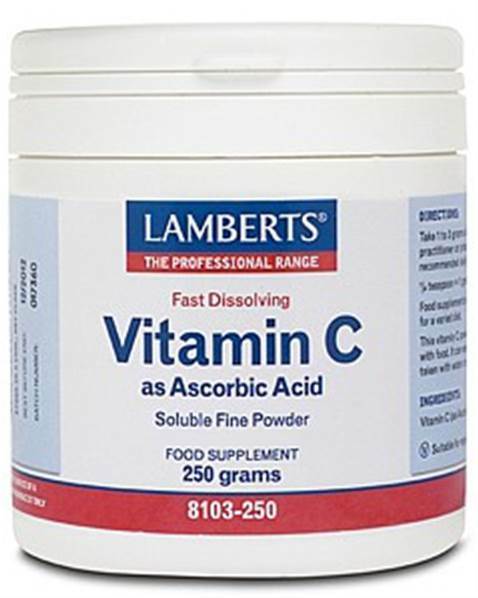 Why Vitamin C in powder form? 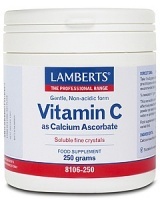 Powders are ideal for those who find tablets difficult to swallow or those who require large amounts of this vitamin. This fast dissolving fine powder is an economical way to supplement vitamin C. It has a refreshing sharp taste similar to fruit acids such as lemons and limes, and it is ideally suited for fortifying fruit juices and squashes. Small intakes several times daily (freshly made up) are more beneficial than a large single daily dose. 1 to 3 grams daily. Small intakes several times daily (freshly made up) are more beneficial than a large single daily dose.